You can spend your entire life trying on different shoes, hoping to find the right fit. The truth is, once you do find the perfect fit, it’s best to not mess with perfection. The question is, how do you find that perfect first fit? Well we already went over a few different things to keep in mind with our sizing and what to look for articles. But if that wasn’t enough and you are still searching, you are in luck. 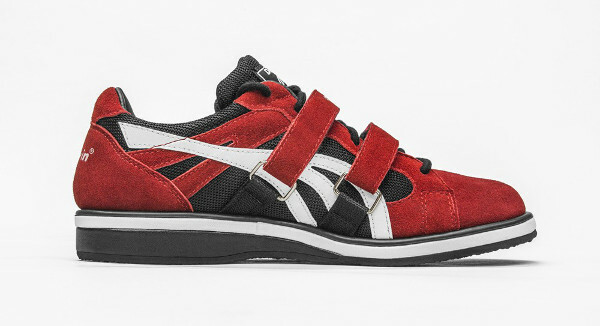 To better help you, here are the top 5 best powerlifting shoes for any level. You’ll surely be able to find something that fits you best out of the five companies listed here. Once you do, stick to that company and that type of shoe, and you’ll be set every time you step on the platform. Without any further ado, here are the top five options for the 5 best powerlifting shoes for any level. 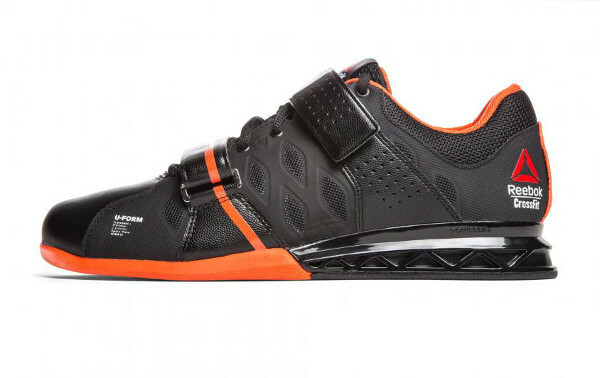 A favorite amongst many lifters is the Adidas Adipower line of weightlifting shoes. These shoes have been a favorite for years, and they only get better with each year. The top reason to love these shoes is because of how comfortable they are. In addition to the strap that goes across the tongue to keep the laces in place, there is an additional spot in the heel that makes for even more stability while lifting. Adidas also offers a unique lacing technology, which makes for the perfect amount of air being vented through your feet. Adidas doesn’t offer a whole lot in the way of style when it comes to the Adipower Weightlifting Shoes, but there are still some classic options to choose from. And because they all have the obvious Adidas three-stripes on the side, you’ll be rocking some stylish kicks that nobody will mistake on the platform. What Adidas lacks in style, they make up for in comfort and durability. 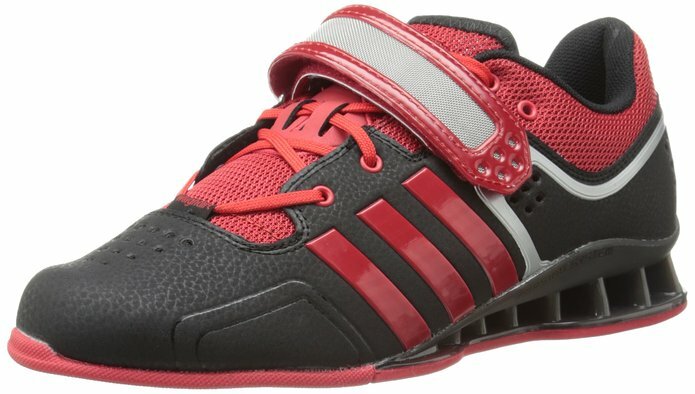 If you are looking for a pair of shoes that will be comfortable from the moment you put them on, but will also last for years to come, then the Adidas Adipower weightlifting shoes is a prime option to consider. Reebok is no stranger to the powerlifting game, which is why it should be no surprise that there CrossFit Lift Plus 2.0 rank among some of the best shoes out there. If you’ve never worn a pair of Reebok Cross fit shoes, do yourself a favor and try them on. They have a low arch, which makes for some amazing grip and stability on the floor. One area that Rebook has also improved in recent years is the overall style of the shoe. The original pairs of CrossFit Lifts were a bit dull and boring. However, the 2.0 models come in a variety of different shapes. And since they all have a stylish strap across the middle as well, you’ll also be able to keep your feet in place. The Reebok CrossFit Lift Plus can also be found for just over $100, which is a great deal for a shoe of this quality. And as you’d come to expect with Reebok, that means that you are getting a great shoe that will last you for years at a price that won’t break the bank. If you are playing too much less than $100 for weightlifting shoes, then you may run the risk of having shoes that aren’t nearly as comfortable or as safe as you need to train properly. Nike is known for making some of the most popular shoes in the world. A lot of that probably has to do with the wild designs that basketball stars like Michael Jordan, Kevin Durant, and others come up with. So when you first look at the Nike Romaleos, they most certainly aren’t one of the more appealing pairs of shoes on the market. In fact, they are a bit dull in appearance. 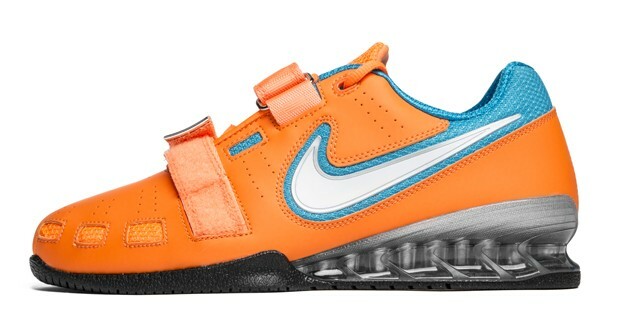 Even though they come in a variety of new colors in recent years, and they are more appealing than the Romaleos 1, the truth is that Nike sill has a long way to go in terms of appearance in the weightlifting category for their shoes. However, for everything the Romaleos lack in style, they certainly make up for in quality and comfort. When you slip your foot into a pair of these Romaelos, you’ll notice how stable you feel inside of them. You won’t have to worry about sliding around or your laces getting loose, as there is also an additional two straps for maximum strength support. The Nike Romaleos are a bit tight in terms of breathability, which is what you’ll have to take if you want the dual-straps that they offer. Our opinion is that we’ll take the added stability over comfort, which is why we still consider the Nike Romaleos to be one of the top shoe brands for any powerlifter level. The shoes that are on this list are great for any level powerlifter. However, the Nike Romaleos may be the first place that you want to start, especially if you have never worn a powerlifting shoe before. You might end up finding something that you truly love, with the reputation that comes with Nike. If you are looking for a low-cut design, then Inov makes a line of powerlifting shoes that are also ideal for CrossFit athletes as well. The first thing that you’ll notice about the Inov 8 is that it’s not nearly as bulky as some of the others on this list. Instead, it’s aerodynamic and smaller footprint, pun intended, makes for a comfortable fit every time you lace up. Across the middle of the Inov 8 is a velcro strap, which again adds support. One thing that we noticed about the Inov 8 strap is that it was noticeably tighter than a lot of other shoes we’ve worked with That’s a big bonus when you consider you don’t want to have to worry about having a loose shoe while training. One downside to the Inov 8 is that many people don’t like the style. 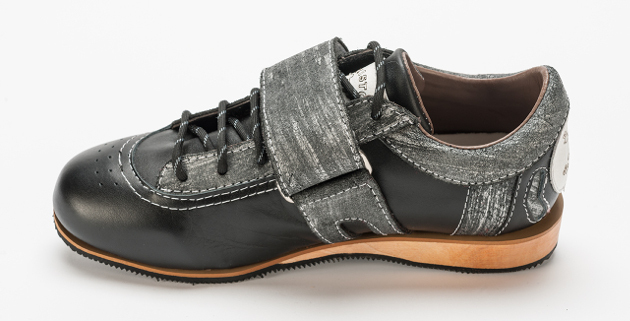 They are not necessarily known for being a shoe brand that is design savvy, and that is the case here. They do have an increased number of styles and options to choose from, though there is more to be desired still. There is also a disparity in terms of the arch in these Inov shoes as well. If you’ve grown accustomed to enjoying the shoe styles like others listed here, then it may be because of the very flat arch in the sole of the shoe. A lower arch makes for more stability while lifting, which is ideal when squatting or deadlifting. However, there is just a bit of arch in the Inov 8, which is only noticeable once you hit cession levels of weight. If you are looking for a lightweight shoe that is just as good for CrossFit as it is weightlifting, then the Inov 8 is great choice. 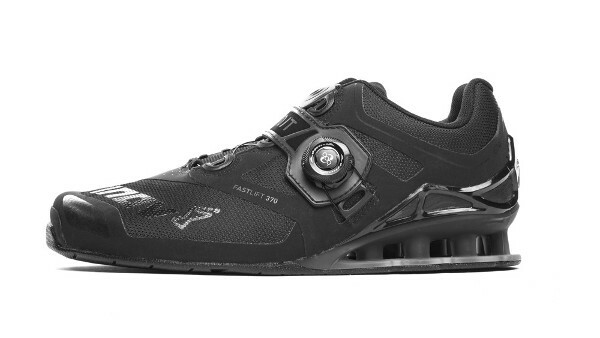 The Risto Weightlifting Shoe is also worth taking a look at as well. We personally tried the Risto a while back, as it was a shoe that was recommended from some CrossFit friends. We didn’t know just how well the Risto would transition into powerlifting, but that is what made this such a nice surprise. Just as with CrossFit, the Risto provides for a generous amount of mobility and movement. This is perfect for when doing squats or power cleans, but it’s also one of the more comfortable shoes for just general wear, as well. Despite that fact that there is plenty of room for comfort, that doesn’t take away from the support that the Risto provides. With a large strap that goes across the middle, the Risto made for incredibly comfortable conditions. while wearing. They also stayed snugly in place, which is ideal when training. One compliant that some athletes have about the Risto is that it has a lower profile that most other shoes. That means that there might be a greater likelihood that you would roll your ankle or hurt yourself. This is a small concern, but certainly one that you should consider if you are someone who has a habitual past of hurting yourself. In our last post, we took a look at some of the top options out there for powerlifting shoes. But what if you are someone who isn’t quite sure if you want to go all-in on powerlifting? Or maybe you simply don’t have the budget for those previously mentioned shoes? In either event, you are still in luck, because there are plenty of intermediate level choices out there as well. The truth is that most first-time powerlifters will likely want to try out a few different pairs of shoes, as they look to find the pair that is most comfortable for competing in. That’s when you can then hop over to the other review and look at some of those higher-level shoes. 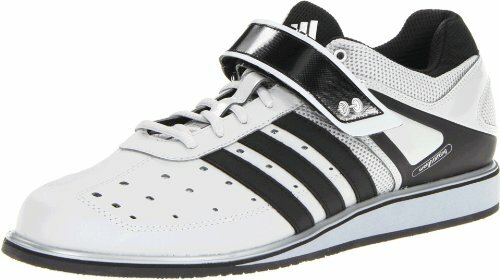 In the mean time, here are some excellent intermediate level powerlifting shoes to choose from. 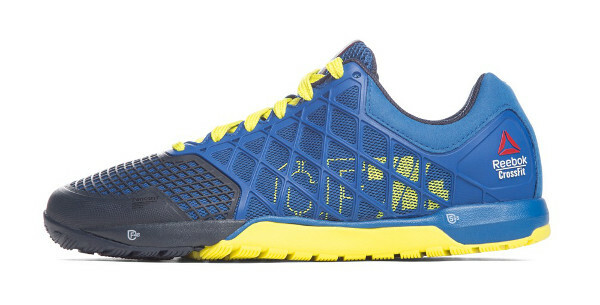 We came across the Reebok CrossFit Nano 4.0 while, as you might’ve guessed, training CrossFit. This shoe is ideal for the sport, as it has a low profile and a light weight that makes it easier to bounce around in. It just so happens that the same low profile and light weight also makes for a great powerlifting shoe as well. As with any Reebok, the CrossFit Nano 4.0 is also incredibly durable as well. After being tested through a variety of conditions and tracks while tacking part in CrossFit, the Nano 4.0 was still in awesome shape. You’ll also notice a great new gripping system on the bottom of the shoe, which will come in handy while on the platform and about to do a power clean. The Reebok CrossFit Nano 4.0 also comes in a variety of different colors, which will come highly appreciated by those athletes who want to match their kicks to their gear. There are a few different Inov models out there that really impress us. While there are plenty of elite models with equally as high price tags, the Inov-8 FastLift 335 is perfect as an intermediate option. What really stands out about the Inov-8 FastLift 335 at first is the bright color scheme going on. You can’t miss the bright green and red main colors, as well as the black undertone. If you aren’t a fan of the wild and bright colors, you may not enjoy. But if you do, then this one is truly a great option. The Inov-8 is also very comfortable, as it boasts an additional velcro strap across the tongue. If you have yet to try out Inov, then the FastLift 335 is a great product to jump into. Rogue Fitness is known for making some of the best bumpers and barbells in the industry. Therefore, it shouldn’t come as a surprise that they also have stepped into shoe market as well. 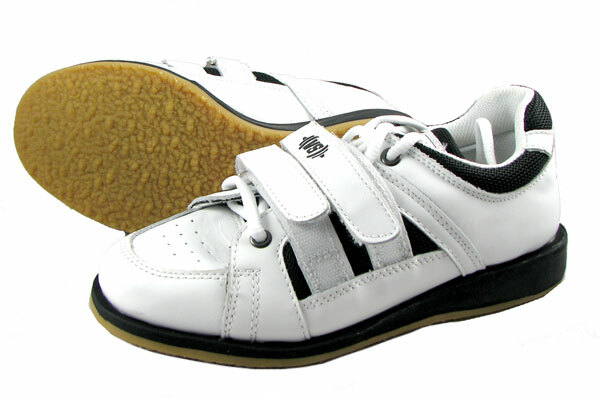 With the Do-Win, you get a pair of shoes that ranks very highly among the powerlifting industry. Adidas has been in the powerlifting and weightlifting industry for a long time, and they probably rank up there with Chuck Taylors on the list of “most popular shoes found in the gym” list. Even though we’ve transitioned away from Adidas for other shoes, that didn’t stop us from trying out the PowerLift Trainer. And are we glad that we did. The Adidas PowerLift Trainer might be one of the most comfortable pairs of shoes on the market. Our foot slips neatly into the shoe, but there is also a unique design that is intended to make for less wiggle room inside the shoe itself. This is a unique design that we’ve seen in the Nike F5, but Adidas does a much better job of implementing it here. The Adidas PowerLift Trainer also has a strap across the top of the tongue, which adds a lot of support around the top of your foot. This is ideal while doing powercleans, as you need to have just as much mobility as you do support. The options on this list will be perfect for any powerlifter who is trying out the sport for the first time. However, that being said, we know that there are still some out there who are going to be looking for an even cheaper option that the ones listed here. While we do have a few good options to choose from, keep in mind that you may be better off investing in a pair of shoes that you think you’ll like in the long run. If not, it could take a hit on your wallet if you have to buy two pairs of shoes within a short time span. If you are going to go the entry level route, then look no further than the ASICS Men’s Lift Trainer Cross-Trainer. We’re big fans of the ASICS Kayano running shoe, but we’ve heard great things about the Lift Trainer as well. Our review will go into further detail as to why this is a decent beginner option. And finally, VS Athletics makes a very basic weightlifting shoe as well. For those looking for an option around $50 or less, we’ll do a review that looks into this shoe. If you’ve been training a bit and you are ready to get a nicer pair of shoes, or if you simply just want to invest in yourself and hit the ground running, then the options here are ideal for intermediate athletes. Be sure to check out the more detailed reviews of each shoe, to find out which will be best for you. If you have never stepped foot on a powerlifting platform, then you may not know where to start in order to get into this sport. But just because the horizons aren’t clear, doesn’t mean that you should suit up and take on the journey ahead of you. Therefore, the first place to begin is with a pair of shoes that will provide comfort, support, and durability underneath you while training. And with any of the five options on this list, you’ll be able to find a shoe that is perfect for any level power lifter.